Stanczyk has lived much history and God willing, will live much more of it. So across the generations, you see the changing borders of Eastern / Central Europe and how it affects us genealogists (not that I am ignoring the plight of our ancestors that had to evolve with the changing landscape). From the beginning, I was always advised to learn about “The three partitions” and determine which of the three partitions my forebears came from — good advice, but Poland’s history is a much richer tapestry than just the three partitions (zabory). So today’s blog is about the Eras of Poland and the names I have chosen to call them going forward so that we can all “be on the same page”. 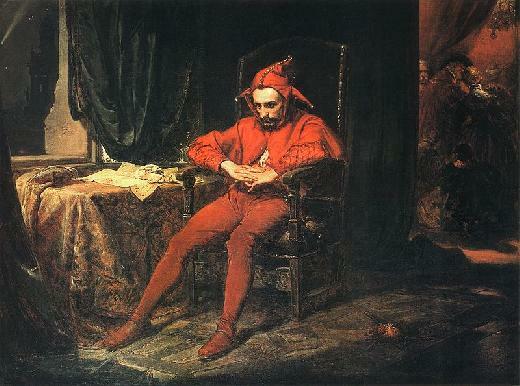 Please forgive this jester as I will limit the discussion to the eras post-Piast dynasties, starting with the Polish-LithuanianCommonwealth. This roughly matches the Papal nuncios that dictated that churches must record the vital records of the parishioners. So we find the beginnings of genealogies for all peoples and not just for the magnate families or the royals. Let me just utter the era names I wish to use going forward when I write about genealogies or histories. Let me get the mystery out of the way and also let the debates and arguments proceed. Some of these are overlapping eras, because not only are we discussing a vast span of time, but we are also talking about vast distances and a broad swath of peoples / religions / governments. PRUSSIAN POLAND 06/09/1815 11/10/1918 Bezirks: POSEN, POMMERANIA, DANZIG (GDANSK) etc. Some of the era names are well understood and some are controversial (for a lot of reasons). First off, I wanted to make a distinction between the PARTITION era (1772-1815) which I saw as including the Napoleonic wars and ending with Napoleon’s defeat and the Treaty of Vienna. So I separate AUSTRIAN PARTITION from AUSTRIAN POLAND. The distinction is subtle but I believe defensible. The three Partitions and the Duchy of Warsaw (French protectorate) are separate because during these times there was at least a scrap of Poland in existence (excepting for a decade proceeding Napoleon’s victories). The AUSTRIAN/PRUSSIAN/RUSSIAN POLANDs represent the slightly more than one century that Poland had “disappeared” from European maps. That century coincides with the Great Migration of Poles (including Jews) to the USA – a significant genealogical event for the Slavic Genealogist. You will note the CracovianRepublic which gets a lesser amount of attention and eventually is folded into AUSTRIAN POLAND. Also there is the JEWISH PALE OF SETTLEMENT (more about that in a bit). RUSSIAN POLAND is treated differently than I have seen it handled before. My ancestors come from this area, so you will have to forgive me if this appears a bit chauvinistic. I delineated the RUSSIAN occupation finely. So you see a Russian Partition followed by a Duchy of Warsaw followed by Congress Poland ( a TSARIST hegemony) followed by the Kingdom of Poland and finally resulting in RUSSIAN POLAND. 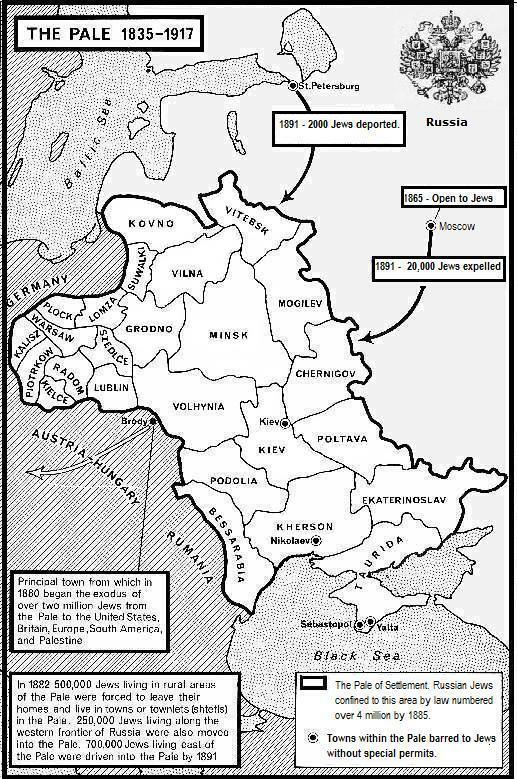 The nuances in the RUSSIAN Zabor (partition) follow the changes in administrative boundaries that so affect genealogical research. Genealogists also should take note that vitals records in RUSSIAN POLAND are written in Russian/Cyrillic and use Gregorian Calendar from late spring 1869 through the collapse of the Russian Empire near the end of World War I in 1917. So, Polish language records are found before and after that period of time. Similarly, for Latin/Hebrew languages for religious records (although you do find Latin, Hebrew and even some Polish records during 1869-1917 timeframe in some limited ways). Since the Russian language edict almost matches exactly the above RUSSIAN POLAND era, I did not create yet another era specifically for that era of Russian language. I merely note it here. The astute reader will note four POLAND eras. These cover the two decades between World War I and the up to the time of World War II began. It also covers the Post World War II era. They also overlap the Second and Third Republics of Poland. Finally, the fine-grain view of Post World War II Poland is coincident with the redefinition of Wojewodztwo (Provinces) and their underlying powiaty (counties). Again, the emphasis is in order to support genealogical research. I have not mentioned the WWII era (World War II) yet. I need to do some specific research to see how Nazi / Soviet occupations affected the administrative jurisdictions and what impact if any that had on genealogy during the war. I leave that for some future blog(s). No mention of religious hierarchies and their administrative boundaries have been addressed, but obviously, that too has an impact on genealogical research. The religious boundaries reflect the changes caused by changing national boundaries, but overall the religious boundaries were more stable until modern times necessitated re-arranging or closing religious areas. OK, that is my blog and those are my eras. You may now proceed to critique my choices. But I have now defined my terms for future “Polish” genealogical blogs. As usual, I look forward to your comments and emails.